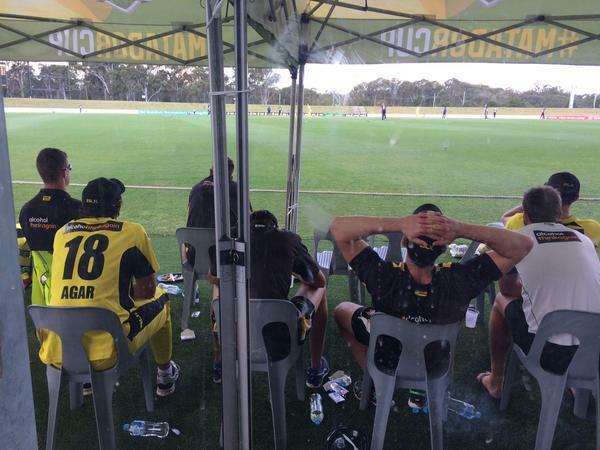 #MatadorCup Back on - target 193 off 43 overs. Watson picks up a single off Doherty's hat-trick ball. NSW 2-122 in the 27th over.